The Ursinusiana Collection provides a record of the life of the College. It includes complete files of Ursinus catalogs, yearbooks, magazines, reports of officers, student newspapers and student literary magazines. 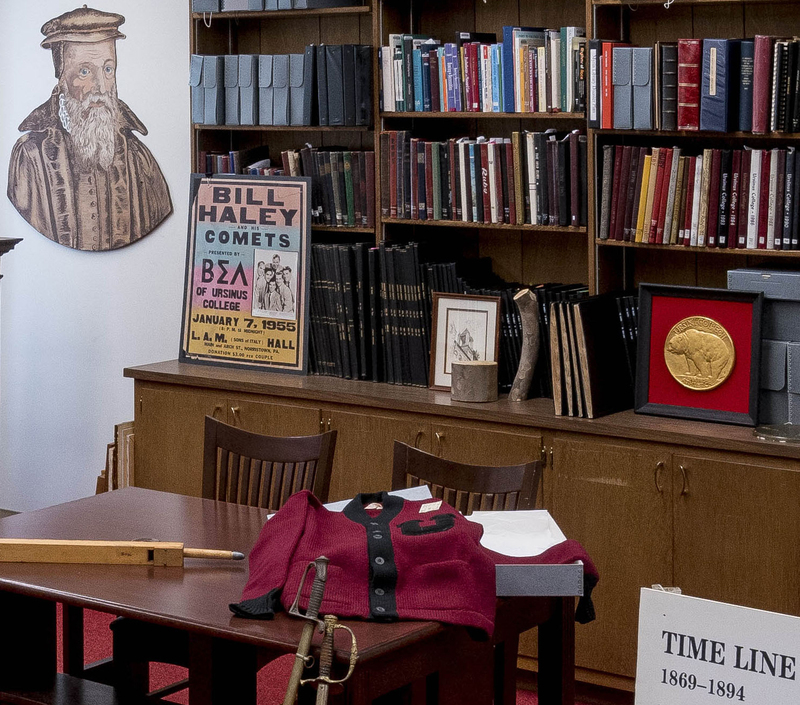 There is an extensive collection of photographs and memorabilia, including the original bell from Freeland Hall, the first building to house the classrooms and Administration of Ursinus College. For more information or to make an appointment to visit the collection in person, please contact the College Archivist, Carolyn Weigel, at cweigel@ursinus.edu.